Gala Fairydean Rovers could have been forgiven for fearing their trip to Ochilview for their fourth Lowland league game this term. Last season, East Stirlingshire scored 13 times against the Netherdale side, including a 10-1 humbling at the 3G Arena last November. 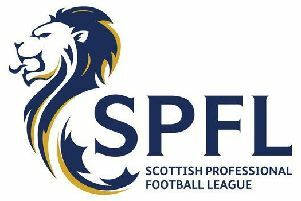 John Sludden’s home side were desperate to make up for an opening day 3-0 defeat to BSC Glasgow in front of their own fans, while GFR were looking to build on a good performance in their narrow 1-0 defeat to Spartans at Netherdale the week before. Both teams started brightly, with Adam Watson just failing to get on to a dangerous through ball for the visitors . At the other end, the hosts brought out a save from Lewis Muir on three minutes, thanks to a strike by Paul Sludden. Shortly afterwards, the prolific Andy Rodgers had a fine effort that flew just wide. The former Falkirk, Dumbarton and Ayr United striker proved a handful for the visiting defence throughout the 90 minutes. Two corners within a minute of each other almost led to goals for both sides. Just before the half-hour mark, a goalbound header from ‘Shire striker Kevin Kelbie was headed off the line, while moments later, GFR came close to taking the lead from a set piece of their own. A Darren Smith corner from the left was met powerfully by Scott Main but the former Raith Rovers midfielder saw his effort beaten out by Jamie Barclay in the home goal. The rebound fell to on-loan Jamie Gullan but the youngster fired into the side netting. Steven Noble must have been heartened by his side’s performance in the opening 45 minutes and, seconds after the restart, things almost got better when Stuart Noble burst through the home defence and his powerful shot was tipped on to the bar by Barclay. Shortly afterwards, East Stirlingshire also hit the woodwork, thanks to a dipping effort from Paul Sludden which beat Muir but crashed off the bar. ‘Shire came even closer on 50 minutes when Kelbie rose to meet a pin-point Andy Rodgers cross but on-loan Rangers goalkeeper Lewis Muir somehow made a stunning point-blank range save to keep things level. In the 65th minute, GFR were made to feel aggrieved for the second week running when they were denied what seemed a stonewall penalty. The Braw Lads’ Jamie Gullan looked to have been tripped in the area but referee Alastair Grieve ignored the frantic appeals of the visitors, and booked the Hibs youngster for simulation. The referee was once again centre of attention on 72 minutes when he red-carded ‘Shire striker Kevin Kelbie, for what appeared to be abusive language towards the official. Play was stopped for a number of minutes following a clash of heads between Gala substitute Ross Aitchison and Connor Greene, which broke up the breathless end-to-end action. However, there was still time for Lewis Muir to make yet another good stop from an Andy Rodgers turn and shot. With the last kick of the game, Stuart Noble just failed to guide home a Sean Paliczka cross after the substitute had burst into the ‘Shire box. Although before the game, he admitted he would have been happy with a point at a difficult away fixture, GFR boss Steven Noble was a disappointed figure at the end. “I’m a bit dejected,” he said. “Our dressing room is like a morgue, as we felt we should have collected all three points. “Don’t get me wrong – Lewis Muir made some fantastic stops. East Stirlingshire are a good team, as we know to our cost, but we had chances of our own. I thought we were going to nick it at the end but Stuart just couldn’t connect properly after great work by Sean Paliczka. “I thought we did well against one of the best teams we’ll face, with our defence coping well against some of the best forwards in the league. The tough games are coming thick and fast for the Netherdale outfit, with a visit to University of Stirling next week followed by a home double header against last season’s East of Scotland runners-up, Lothian Thistle Hutchison Vale, and Lowland champions East Kilbride. On this evidence, Noble’s team can approach these difficult games with confidence. Gala Fairydean Rovers: L. Muir, L. Stephen, Billy Miller, S. Main, George Windram, D. Bonnar, D. Smith, R. Craigie (R. Aitchison 75), S. Noble, A. Watson (D. Brown 83), J. Gullan (S. Paliczka 68). East Stirlingshire: J. Barclay, J. McCormack, L. Allison, A. Grant, C. Greene, G. MacGregor, A. Rodgers, D. Ure, K. Kelbie, P. Sludden, K. Faulds.